Porcelain inlays and onlays are restorative dental appliances that repair mildly to moderately decayed rear teeth. Inlays and onlays are used to repair teeth with minor cracks and fractures that are not severe enough to require tooth replacement procedures such as dental implants or dental crowns. Inlays and onlays are commonly made from porcelain but can also be made from resin and, in some cases, gold. They can be formed from tooth-colored materials and are often used to replace metal dental fillings. 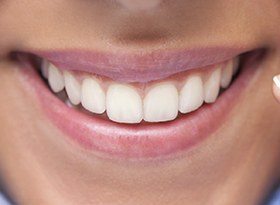 Dr. Danny Tran usually places inlays on teeth with damage or decay on the top surface. Placement is usually completed in two visits. Onlays are used in a similar fashion as inlays. The difference is that onlays are used to treat damage or decay that extends to one or more cusp.